The hype train for 5G, the next generation of technology that will power our mobile networks, has been gathering steam for a couple of years now. The potential benefits of 5G are enormous, but we’re only just working out precisely what it is. What we’re actually looking at here is a mix of technologies that encompasses three different spectrum bands, massive MIMO, beamforming, mmWave, and small cell base stations, among other things. The bottom line for the average phone owner is that you can expect much faster connection speeds, something that’s clearly desirable to many. Different carriers have different strategies for the 5G rollout to come, but unable to wait any longer and obviously keen to stay ahead of the competition, AT&T has jumped the gun. The stupendously annoying and deliberately misleading decision to launch 5G Evolution is only going to confuse people, because it’s simply not 5G. Some very clever people have spent years now working out what the speed range of 5G will be, how the technologies will work together, and exactly what the label means, only for AT&T to blunder in and deliberately mislabel the latest 4G advances. That’s right. 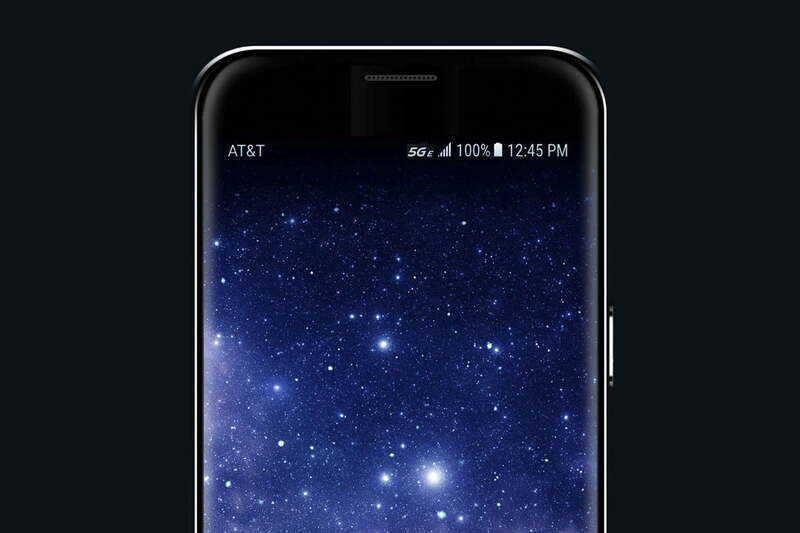 The marketing geniuses over at AT&T have decided to push out a 5GE logo onto phones that actually won’t support real 5G. AT&T says the 5G E indicator in the top-right corner of this image depicts an advanced 4G LTE network. What is 5G Evolution? It’s the latest update to 4G LTE. You’re looking at speeds of around 40Mbps, and it’s built entirely on 4G LTE technologies that other carriers are already using. One of the saddest and most frustrating things about this is that we’ve been here before. A few years ago, T-Mobile decided to rebrand HSPA+, which was a faster 3G technology than it had deployed up to that point, as 4G. It claimed to have the biggest and best 4G network, when it was actually just an improved 3G network. AT&T, along with the rest of the mobile industry, condemned T-Mobile for muddying the 4G waters. But it wasn’t long before they followed suit – labelling their own 3G HSPA+ network as 4G. That meant that when actual 4G technology finally came along we had to call it 4G LTE, to differentiate and let people know that this was “real 4G”. To add insult to injury, AT&T seems dead set on pushing forward with 5GE in the face of widespread criticism, and some people report that the 5GE logo has already popped up on their phones. There’s not a hint of contrition in recent interviews with AT&T execs. “All of our investment in the infrastructure and hardware is all 5G ready, so the moment the 5G software and the 5G devices show up, it’s a software upgrade to our network to enable our customers to move to 5G,” AT&T’s Igal Elbaz, senior vice president for wireless technology, told Tom’s Guide. What he fails to acknowledge is that the phones people have right now, that are displaying this 5GE logo, are not capable of working with real 5G technology. People will have to upgrade to a new smartphone with the right chips and antennas inside. We’re not surprised that marketing departments pull this kind of crap, but it’s sad, because their barefaced mendacity will confuse a lot of people. It detracts from what should be an exciting new development for the mobile industry.